This week I've been driving a Jaguar XE SV Project 8. It's the first time PH has had a go in it on the road in the UK and it's the first time I've had a go at all. It was ostensibly for a big group feature the other mag I work on it feels like a very compelling piece of kit. Certainly the rawest Jaguar in recent history. It feels more like a Group 44 XJS than it does a regular XE. It's also a car, as it turns out, that divides opinion a bit like a BMW M4 GTS, which I think is terrific and a lot of other people do not. 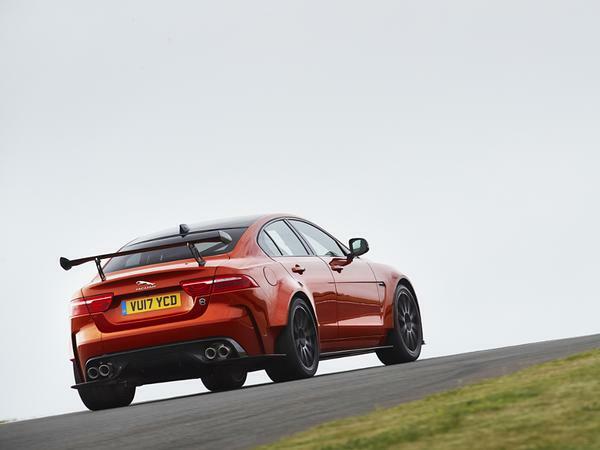 As with the GTS the Project 8 gets suspension you can adjust should you be prepared to get busy in the wheelarches. And as with the M4 GTS, I quite liked it, although not as much as that BMW. In a roadgoing setup it ain't ever exactly compliant, but body control is very good and it has that racy, keyed-in feel. The steering's a bit light, lacking feedback, but accurate. And the four-wheel drive system feels fairly rear-biased. The gearshift on the 8-spd auto is curiously sluggish, but all of its attributes the character and response of the 600hp supercharged V8 is the standout feature. By a mile. 'Cor', you think, 'they don't make 'em like this any more'. 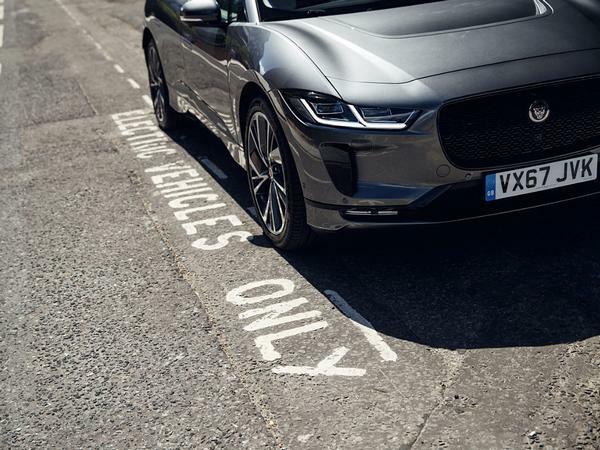 And then you read that it's quite possible that might be all-too literal, on account of the fact that Jaguar is considering moving its range to pure electric power. No decision has been taken, but you can see where the thoughts come from: Jaguar's total volume is looking like being 175,000 cars this year and, even with economies of scale allowed by some platform and architecture sharing with Land Rover, that's not a great deal to be getting on with. There's considerably less folly to the £150,000 Project 8 than there was a V8-powered Rover 75, but there is a similar feeling that it doesn't exactly represent what the XE range stands for. What of Jaguar Land Rover's Special Vehicle Operations, responsible for the Project 8, should things go electric? Presumably they'd still busy themselves fitting massive V8 engines to SUVs, for those who live in wide open areas, like the middle east, the broad landscapes of the US, and South Kensington. But they can't leave it there. So they'd have to turn their hand to electric cars too. Just as it's possible to tune up internal combustion vehicles, it's possible to do EVs. There's a new Jaguar one-make racing series, the i-Pace e-Trophy, where the i-Pace's power level hasn't been turned up from its 400hp, but the aero is massively revised and there's been a deal of lightweighting. 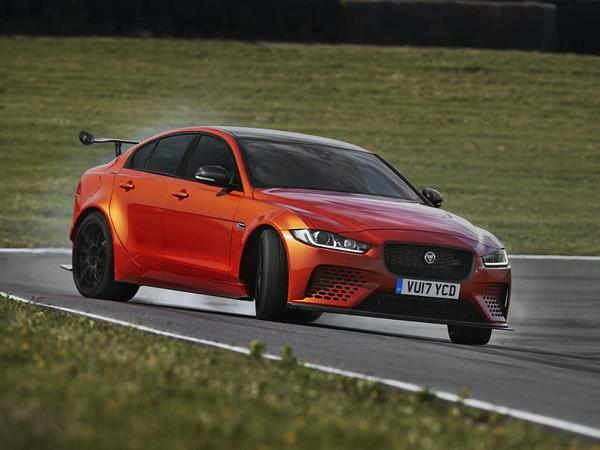 When it comes to the race car's design diverging to the road car, Jaguar's design studio director Wayne Burgess says that SVO would like to use "as much as we can get away with". And just as there are similar architectures and modular design elements with internal combustion engines, so there are with electric motors, too. The limiting factors are battery energy and weight - the pack on an i-Pace weighs something like 610kg. And then you get back into a Project 8 and rev it out and think, 'sure, an i-Pace or i-Whatever SVR will be great, I've no doubt'. But not just yet, eh? Weirdly I actually think going all electric could be a good idea for Jaguar as I'm pretty sure most of the world don't associate them with racing, more with stately, serene progress. This is something I also hope Rolls Royce would consider doing, at least as a separate model/powertrain option if not a total replacement to existing tech straight away. Hopefully the switch from ICE would also help their, er, unfortunate reputation on reliability too...? Well that was virtually unreadable, again. Tesla has been outselling Jaguar (and even M-B) in the US. They'll be doing it profitably before too long, too. It seems Jaguar has come to the conclusion that soon, their ICE cars have no chance of competing with EV's. This is a classic case of "If you can't beat them...". Does anyone bother proof-reading this stuff? Tesla has been outselling Jaguar (and even M-B) in the US. Jaguar, yes - but Jag only shift 40k cars in the US in a good year. Tesla shifted 50k last year - and just over that in the last two months alone, because the Model 3 is finally starting to come off the lines. If they can keep that rate up, that's 300k cars/year. Merc shift 370k cars/year in the US, though, year-in-year-out, and a couple of thousand more than Tesla in the last two months. They'll be doing it profitably before too long, too. I won't hold my breath on that. They keep breaking their own quarterly records for losses, and are in the region of a billion and a half down on the first half of this year alone. Q3 results any day now.